Encapsulating the essence of chic, BELLO by Tony Bianco is set to be your go-to this season. Masterfully made from on-trend croc-embossed leather, the sleek pair feature triangular gussets and pointed toes and rest upon a solid 85mm block heel. Decorated with polished metal trims for a contemporary touch - the pair will instantly elevate your winter wardrobe. 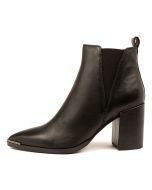 TONY BIANCO https://www.wantedshoes.com.au/media/catalog/product/cache/0f831c1845fc143d00d6d1ebc49f446a/T/B/TB10311B6ZLE_4.jpg BELLO TB BLACK ALLIGATOR LEATHER. Encapsulating the essence of chic, BELLO by Tony Bianco is set to be your go-to this season. 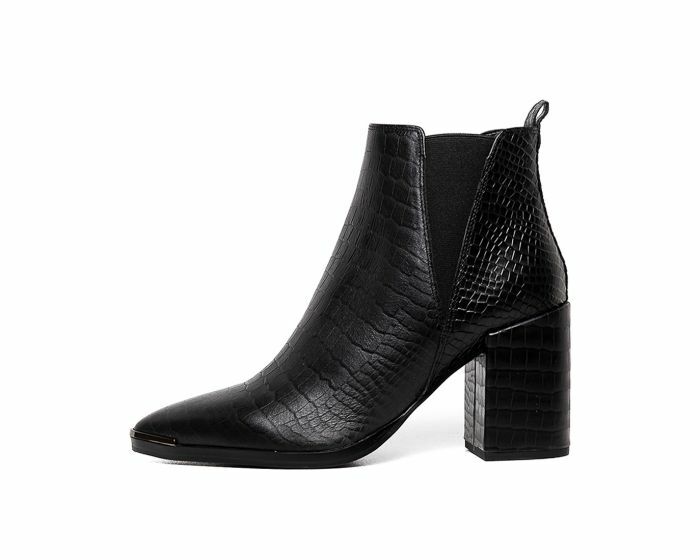 Masterfully made from on-trend croc-embossed leather, the sleek pair feature triangular gussets and pointed toes and rest upon a solid 85mm block heel. Decorated with polished metal trims for a contemporary touch - the pair will instantly elevate your winter wardrobe.